Our company is highly esteemed firm known for offering Candidate Plus Trees (CPTs) to the clients. This product is best for growing trees and shrubs which enhance the beauty of garden, landscapes, commercial crops, etc. Fresh Bamboo Seeds. collected 2 months earlier from plants. 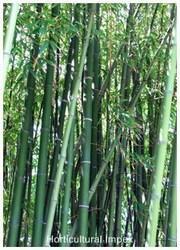 Bambusa Arundinacea commonly known as spiny bamboo or bans is one of the largest varieties of grass in the world. We offer Bamboo Seed for growing healthy bamboo trees. These seeds are packed in poly packs and are available in various capacities. These Bamboo Seed are grown in soil with proper manure and assure the clients of growth of healthy bamboo trees. Ensuring timely delivery, we offer these Bamboo Seed on time. We offer these seeds at most affordable prices to our precious customers.